80s Reboots: What's Next (Or Should Be)? | Like Totally 80s 80s Reboots: What's Next (Or Should Be)? 80s Reboots: What’s Next (Or Should Be)? 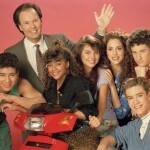 Home » Culture » 80s Reboots: What’s Next (Or Should Be)? With all the recent reboots of 80s shows, it makes you wonder what else may be in the works. We’ve seen a redone Duck Tales, a new take on Full House with Fuller House, and Roseanne is set to run eight episodes this Spring. More 80s reboots? Yes please! If you could, what would you pick to be the next and newest 80s reboot? Here are three shows they really should bring back. Who wouldn’t love to see Winnie, Paul and Kevin reunite and talk about how different everything is from when they grew up? Use to corded phones, newspaper news and driving a car with a window you had to roll down yourself, I think they would be pretty happy with some of the advances they would encounter today. Yes. This must happen. The Saved by the Bell crew, back together. It’s be like 1989 again. How fun would it be to see where these friends actually went with their lives. 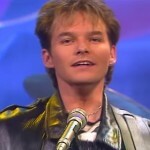 Saved by the Bell had different episodes that talked about the future, one where everyone was in a band, then disbanded, and then got back together again. Oh wait, then Zack woke up and it was just a dream. Punky Brewster, back on the scene. How cool would that be? Maybe this time she could be the one that takes in a cute, innocent stray. 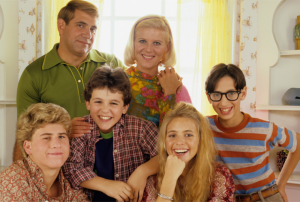 This show talked a lot about life and even touched on serious issues such as runaways and kidnappings. Because it was timely, the space shuttle Challenger disaster was also a topic. And of course drugs, which is touched on in every 80s show, ever. 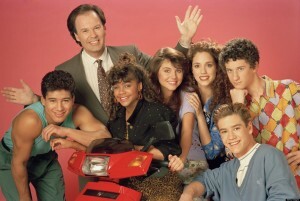 If there could only be one, Saved by the Bell would be my pick. Seeing them all together again and what kind of new-age shenanigans they could (and would!) get into would make it all so worth it.